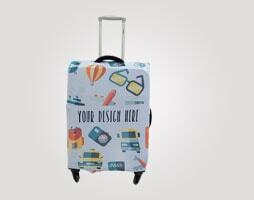 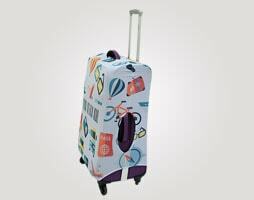 We bet you have seen luggage with colorful design and funny patterns even the owner names on it. 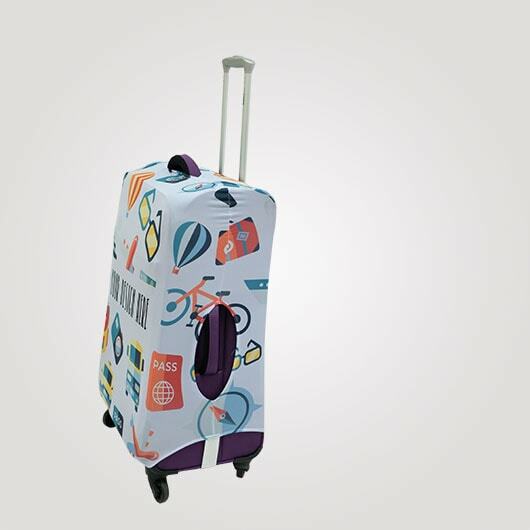 Now you also can make a your look much cooler with fun design luggage cover that you create, it can also add a protection to your luggage. 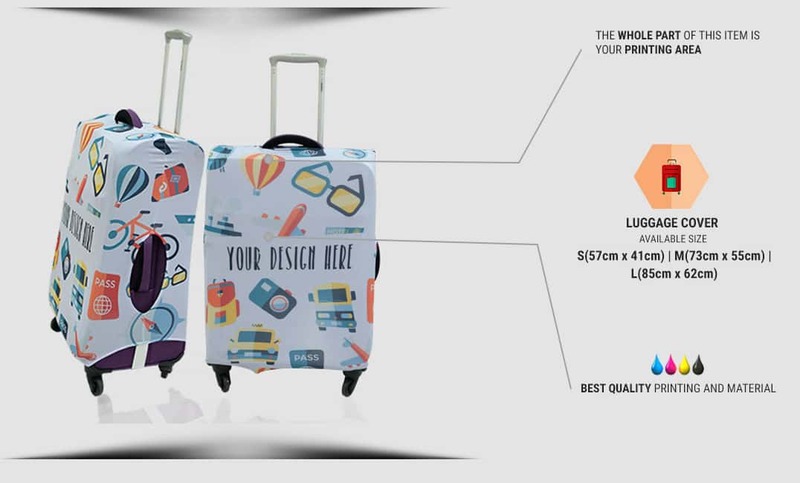 We have 3 size luggage cover based on standard luggage size. 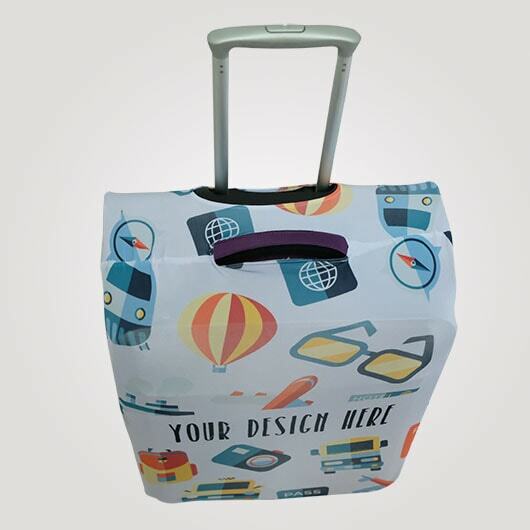 They are Small for 20 luggage, Medium size for 34 luggage, and Large size for 28 luggage.We use Chenna material, a stretchy fabric material, so the luggage cover can adapt to your luggage size. 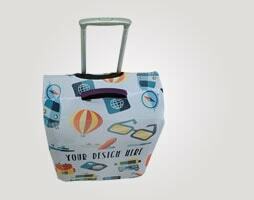 This material is elastic and has an elegant doff color. 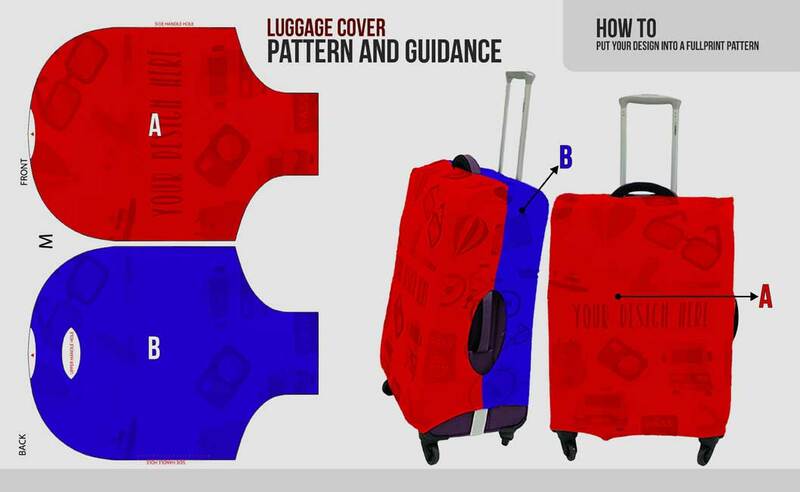 The pattern we provide cover all over your luggage. 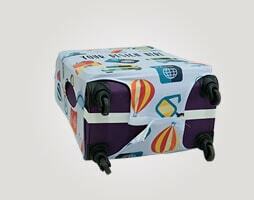 After it covering your luggage, on the down edge there is Velcro to make your the cover fastened closed. 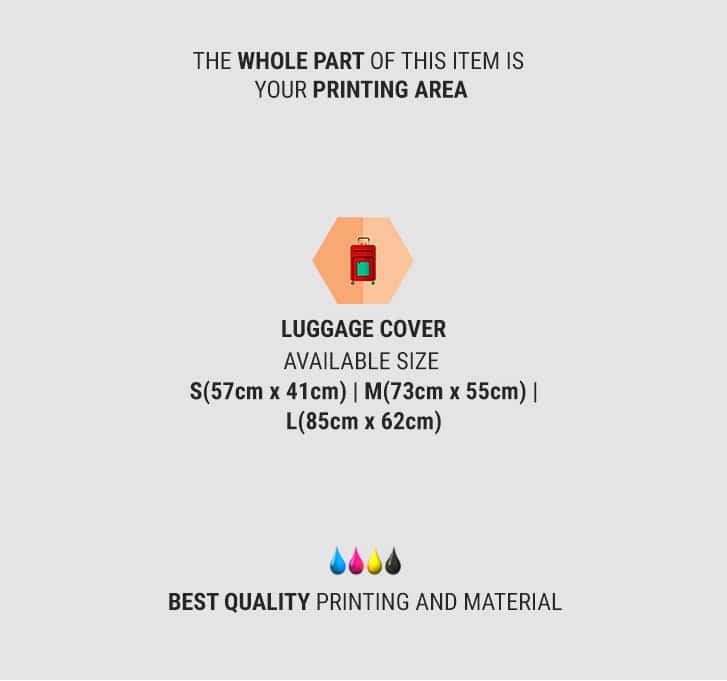 There are also holes on the upper part and the sides of the luggage, so even the luggage is covered, you still able to hold the bag handler to help you lift it. 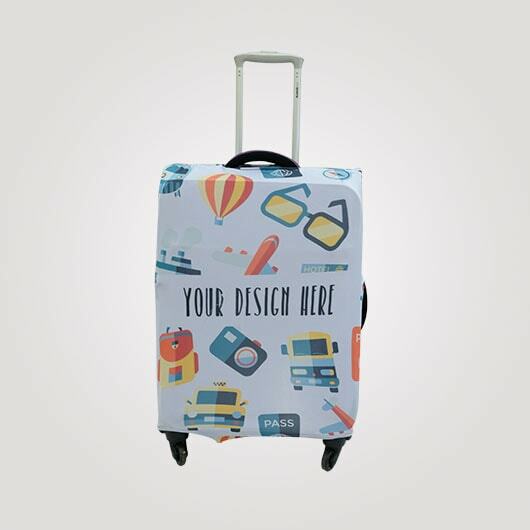 Access our simulator, upload your design, order, and the rest will be finished by our professional talent with our advanced machine until your own design luggage cover arrived at your home. 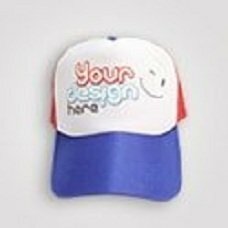 Combinaton of polyester and spandex which has doff color, not transparent, falling follows the body, soft, slick, elastic, and durable. 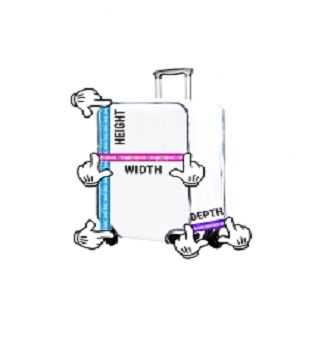 Stretch: Both side up to 70%. 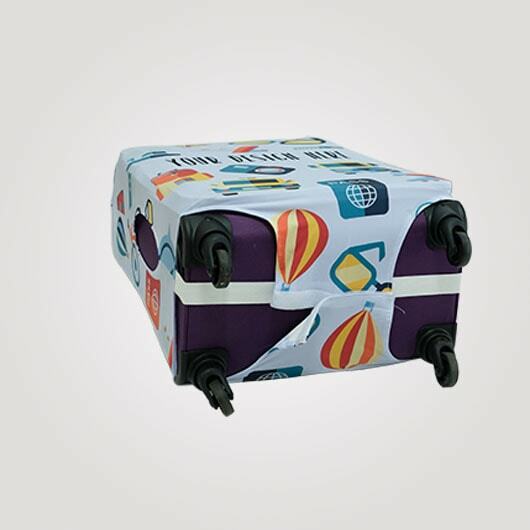 Both side up to 70%.